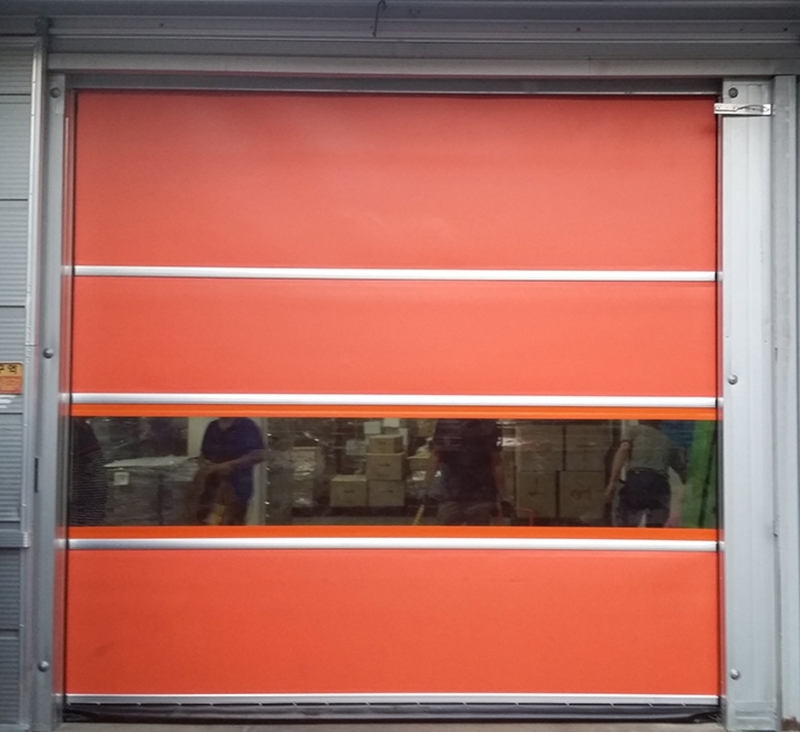 COAD Auto Door creates High Speed Door products of the highest quality. 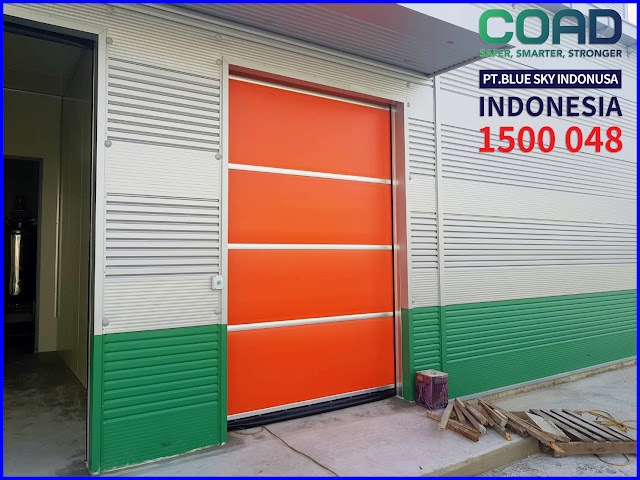 COAD Auto Door has been tested in various industries and always provides maximum service for all High Speed Door products. 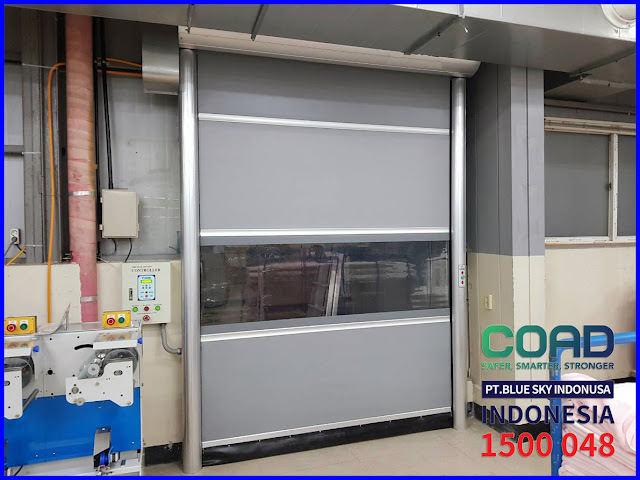 COAD Auto Door has several types of High Speed Door that can be used by Industry. One of them is the type C-3 Restoring Model, which is a high speed door Recovery System (which can repair independently) when the door is accidentally hit by a vehicle while operating. This type of door is a door that uses zipper, as is the case with clothes that use zippers. The zipper is the one that functions when a collision on the door, when hit by a door, is not really damaged, but the Sheet and Zipper are only released from the Rail. To fix the sheet will go up or open the door fully then when closing the door will automatically return to normal. 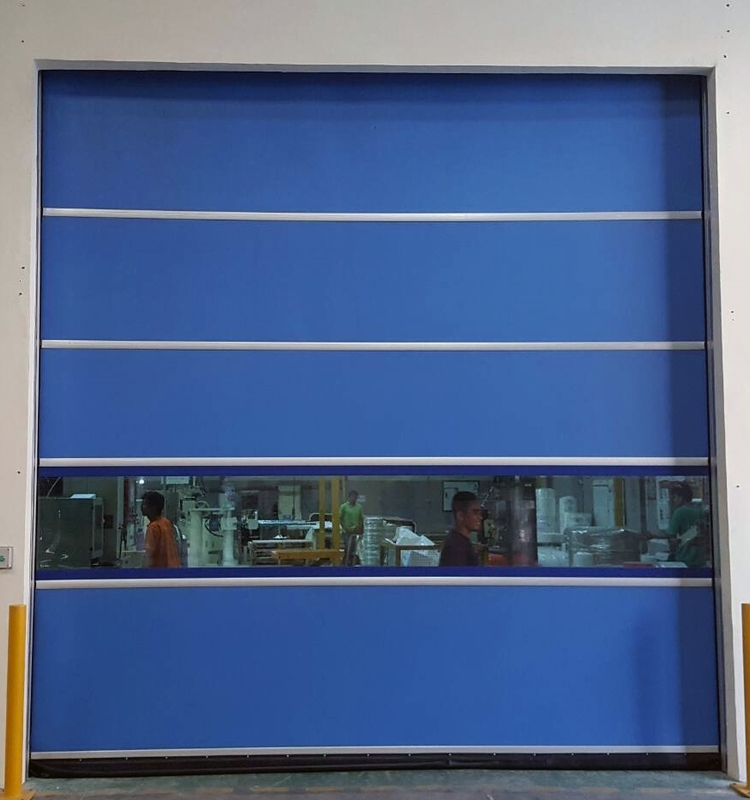 High Speed Door Type C-3 is often used for industries in rooms that are passed by heavy vehicles. 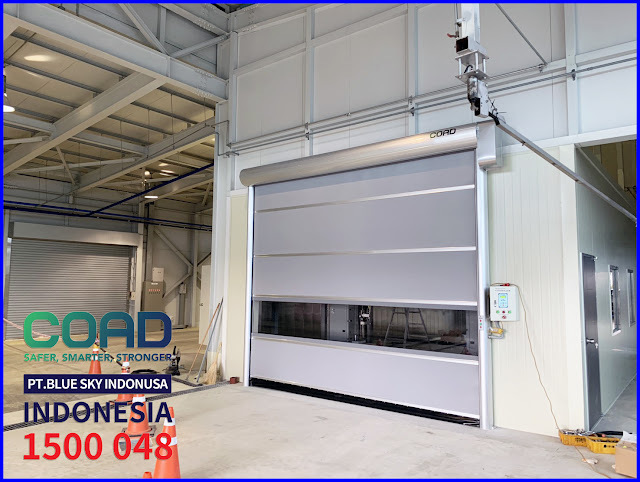 COAD always provides the best Automatic High Speed Door. 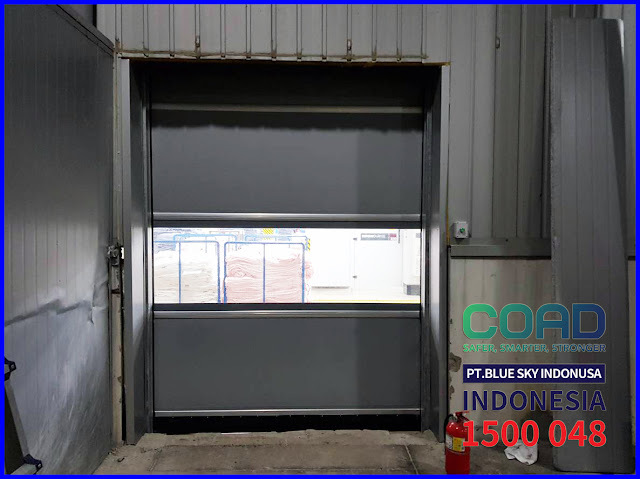 COAD Auto Door emphasizes Quality and Safety. 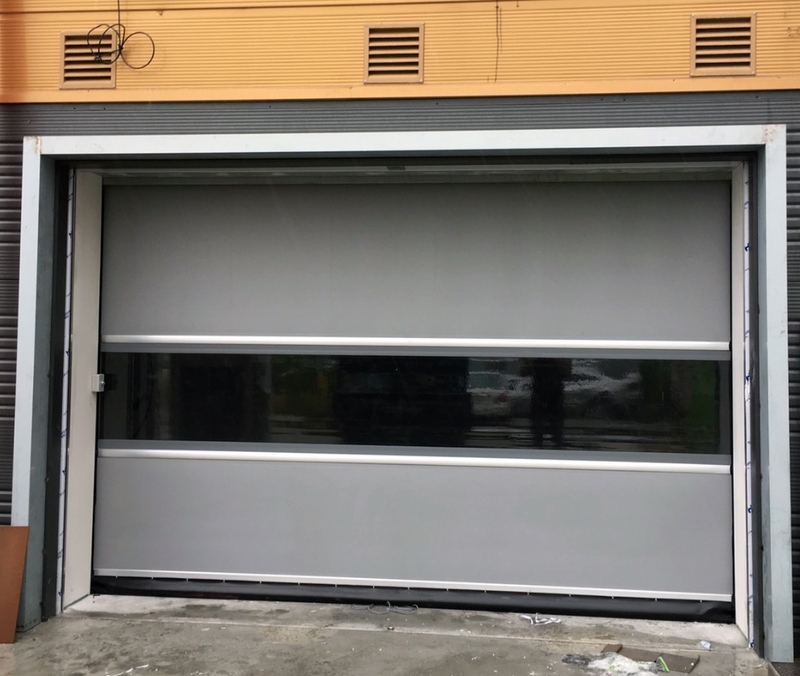 0 Response to "COAD Auto Door Resistant to Impacts and Can Repair It Alone"